What is Host Profile ? How to Use Host Profile ? You must have an existing vSphere installation with at least one properly configured host. Check the host's compliance to the reference host's profile. If all hosts are compliant with the reference host, they are correctly configured. Apply the host profile of the reference host to other hosts or clusters of hosts (Host need to be in maintenance mode to apply the profile). 1 In the Host Profiles main view, click Create Profile.The Create Profile wizard appears. 2 Select the option to create a new profile and click Next. 3 Select the host you want to designate as the reference host for the new host profile and click Next. 4 Type the name and enter a description for the new profile and click Next. profile. The new profile appears in the profile list. the new host profile. The host must be a valid host to use as a reference host. 3 Type the name and enter a description for the new profile and click Next. profile. The new profile appears in the host's Summary tab. Before you can apply the profile to a host you need to attach the host to the profile or the profile to the host. You can attach a profile to a host from the host's context menu in the Hosts and Clusters inventory view. When a host profile is attached to a cluster, the host or hosts within that cluster are also attached to the host profile. However, when the host profile is detached from the cluster, the association between the host or host within the cluster and that host profile remain. 1 In the Host and Clusters view, select the host to which you want to attach a profile. 2 Right-click the host and select Host Profile > Manage Profile. and attach the host to this profile. 3 In the Attach Profile dialog, select the profile to attach to the host and click OK. The host must be in maintenance mode before a profile is applied to it. 1 In the Host and Clusters view, select the host to which you want to apply a profile. 2 Right-click the host and select Host Profile > Apply Profile. 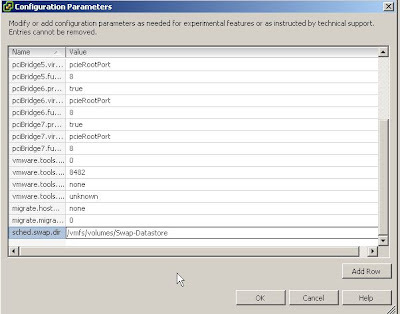 3 In the Profile Editor, enter the parameters and click Next. 4 Continue until all the required parameters are entered. Swap-Datastore dedicated for VM Swap files. So now swap file location is as per your requirement. 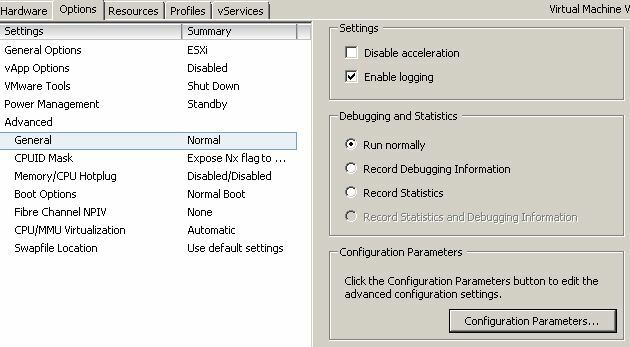 The following is a complete list of enhancements made in VMFS-5. Earlier versions of VMFS used 1, 2, 4 or 8MB file blocks. These larger blocks were needed to create large files (>256GB). These different file blocks sizes are no longer needed to create large files on VMFS-5. Very large files can now be created on VMFS-5 using the new unified 1MB file blocks. Earlier versions of VMFS will still have to use larger file blocks to create large files. In earlier versions of VMFS, the largest single extent was 2TB - 512 bytes. 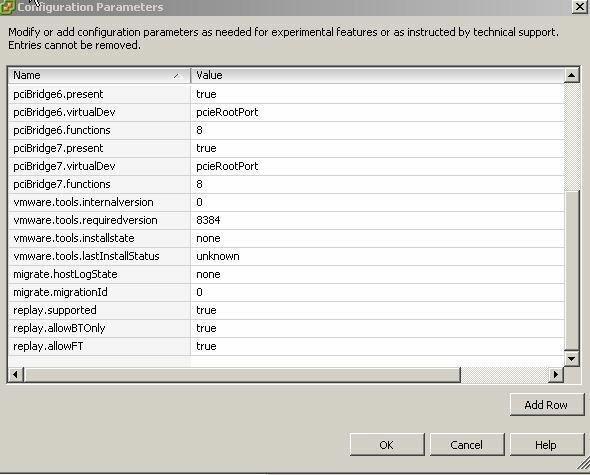 An extent is a partition on which one can place a VMFS. To create a 64TB VMFS-5, one needed to create 32 x 2TB extents /partitions and join them together. With VMFS-5, this limit for a single extent/partition has been increased to 64TB. 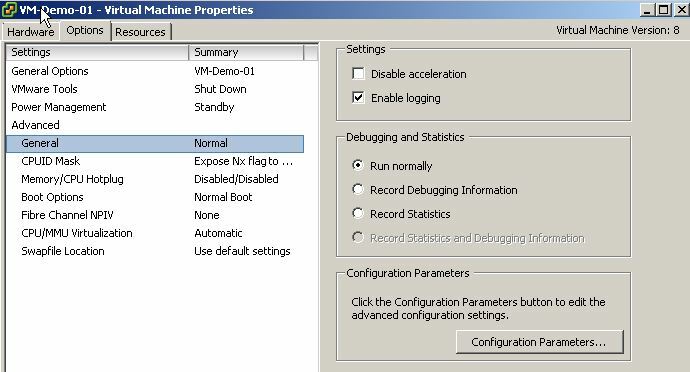 This significantly reduces the management overhead when using very large VMFS volumes. VMFS-5 introduces smaller sub-blocks. Sub-blocks are now 8KB rather than 64KB as used in the earlier versions. With VMFS-5, small files (< 8KB, but > 1KB) in size will consume only 8KB rather than 64KB. This will reduce the amount of disk space stranded by small files. Also, there are many more sub-blocks in VMFS-5 than there were in VMFS-3 (32,000 on VMFS-5 compared to approximately 4,000 on VMFS-3). VMFS-5 introduces support for very small files. For files less than or equal to 1KB, VMFS-5 uses the file descriptor location in the metadata for storage rather than file blocks. When these files grow beyond 1KB, they will then start to use the new 8KB sub-blocks. This will again reduce the amount of disk space stranded by very small files. VMFS-5 introduces support for greater than 120,000 files, a four-fold increase when compared to the number of files supported on VMFS-3, which was approximately 30,000. The Atomic Test & Set (ATS) Hardware Acceleration primitive is now used throughout VMFS-5 for file locking. ATS is a part of VAAI (vSphere Storage APIs for Array Integration). 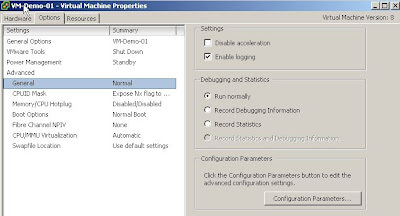 This enhancement improves the file locking performance over earlier versions of VMFS. To handle much larger partition sizes, the GUID Partition Table (GPT) format will now be used to create VMFS-5 volumes. Historically, Master Boot Record (MBR) was used; however, this was limited to a maximum partition size of approximately 2TB. GPT overcomes this limitation and allows for much larger partitions to handle single extents up to 64TB (using VMFS-5). VMFS-5 partitions will now have a starting sector of 2048. This is different from VMFS-3 which had a starting sector of 128. Moving to a starting sector of 2048 helps avoid alignment issues. 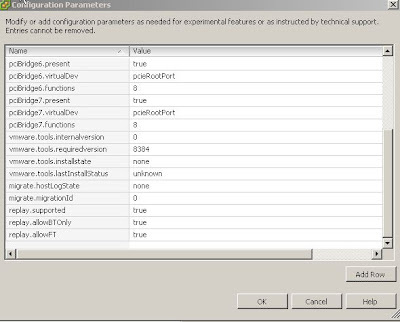 If vCenter Server is installed on Windows Server 2008 and above, <directory_path> is %ALLUSERSPROFILE%\VMware\VMware VirtualCenter\Sysprepwhich generally translates to C:\ProgramData\VMware\VMware VirtualCenter\Sysprep by default. 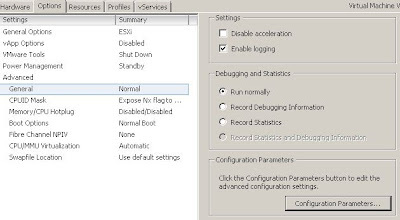 If vCenter Server is installed on any other Windows operating system, <directory_path> is %ALLUSERSPROFILE%\Application Data\VMware\VMware VirtualCenter\Sysprep\ which generally translates to C:\Documents and Settings\All Users\Application Data\VMware\VMware VirtualCenter\Sysprep\ by default.